What a strange game. My quick description of it would be that two 'B' teams (B = winning records this year, playoff contenders, not Super Bowl threats) played pretty identical games and one of them caught a few breaks a won. Go look at the overall team stats from this game…the yards, first downs, etc., were almost identical…or tilted Titans. There's one huge reason why the Titans lost this game and it's a certain player's fault (and thus the coach's fault too), and it matters for fantasy…and we'll get there in a moment in the player notes. I say Oakland 'caught the breaks' because there were little things that always seemed to go in Oakland's favor. On an early game 4th and 1 near the goal line, Oakland ran with Marshawn Lynch and he was stuffed in the backfield but the defender had an awkward grab and Lynch ended up rolling momentum on a '180' a few inches past the line for a first down to keep the scoring drive alive (eventually an FG). On a key 3rd and 6…midgame, midfield, a receiver caught a pass and lunged about an inch over the line to extend a drive that led to a score. Conversely, the Titans always seemed a yard short…or just out of bounds on things. Oakland played well and won, but Tennessee played well…as well. One other note – this was Tony Romo's debut as a commentator and he was very good in his debut. Well informed. Thoughtful. Not overbearing. A natural…already better than Phil Simms ever was on his best day. Better than Troy Aikman he will be. Romo and Nantz are naturals together. Maybe, I'm going too far with the praise because after listening to that abomination Rex Ryan in his joke of a commentator debut for ESPN, anything could sound like perfection. I'll save my Rex Ryan material for that recap. Holy hell…he was the worst thing I ever heard calling a professional football game…and I regularly have to listen to the likes of John Lynch, Phil Simms, and Solomon Wilcox. -- I re-watched all of Corey Davis's (6-69-0/10) targets three times in the past 24 hours, and he looks good. His first catch was terrific and then he was pretty solid/boring after that. I remembered that first catch and got super-excited in general (the first glimpse of Corey against pro competition), now I'm just regular excited. He's definitely going to push to be the #1 WR for Marcus Mariota. Why 'push' instead of 'will be'? Eric Decker (3-10-0/8) is dead money. He was awful in this game…from a 'doesn’t have it anymore' perspective. He has slowed way down, which is logical given the toll of some aging + injuries. You had to wonder why the Jets cut him and why NFL teams all unanimously passed on him as a free agent until the Titans gave him a shot. I thought he looked OK in the preseason, but in the real action of Week 1…he couldn’t keep up. The Titans kept forcing him chances and Decker was either not open or couldn’t move well after the catch. For some reason, he got a bubble screen near the goal line on one particular drive…and looked like he was stuck in molasses trying to move after the grab. Davis-Rishard-Taywan all take that easy play and dart into the end zone. Decker got wiped out for nothing/a loss. It was the little things in this game that made a difference – and the Titans trying to push Decker was a subtle undercutting of the offense. It's like last season when they tried to push Andre Johnson for weeks…before cutting him. The future of the Titans passing game, and it’s going to be a really good future is – Corey Davis-Rishard Matthews with Taywan Taylor in the slot. The faster the Titans realize this the faster they can win the AFC South. If you're holding Decker in fantasy…it’s probably time to move on. Corey Davis looked really solid, but Rishard Matthews (5-71-0/9) looks just as good. Taywan Taylor is going to be a nice spark plug too. We'll have to see if Mariota leans on Davis or if he spreads it around ahead. Decker has to get out of the way first. -- I'm beginning to turn on Amari Cooper (5-62-1/13). He's becoming Todd Gurley – we all think they're great, going to be great and then they are just kinda pretty good…and a let down from lofty expectations. Seven mistargets between him and Carr in this game. At least two drops by Amari…tough catches but ones a star has to make. Ones I would expect Amari to make. Honestly, of all the WRs on the field in this game – Rishard Matthews was the best one if you take out all the media hype. Makes all the catches, is tough/will go over the middle, has downfield speed. He really is a great WR, and why we have to pull up short of full excitement on Corey Davis. That and Mike Mularkey is the worst at the head of this offense. Also, note – Adoree Jackson (4 tackles, 2 PDs) was really good in this game – he gave Cooper and Crabtree fits. To finish out on the WRs…Cordarelle Patterson (1-5-0, 1-2-0/1) is a bit player in this offense and he doesn’t seem to have the same zip in his legs running the ball now. Good receiver, underrated receiver, but the end-arounds with him are becoming pedestrian. -- Demarco Murray (12-44-0, 2-16-0/2) looked fine in this game and is clearly the #1 RB with Derrick Henry sprinkled in. Don’t worry about Murray. -- Marshawn Lynch (18-76-0, 1-16-0/2) looked fine, a touch slow like he was in 2015…but still a nice power runner. He sprung a 14-yard run his first carry of the game…and 17 for 62 (3.7 ypc) after that. Late in the game (2+ min left), critical 3rd & 3…Jalen Richard took the handoff and got a first down. The very next set of downs, 3rd & 2 with a minute left…Lynch got the ball…-1 yards. If I owned Marshawn Lynch I'd start getting a touch worried after this performance. Did you pay heavy for mediocrity? You might want to sell. 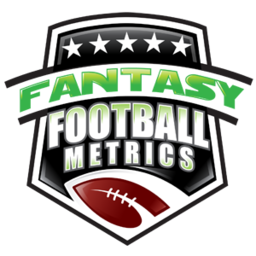 You’d probably get Demarco in exchange for Lynch in a PPR right now…if so, do it. -- I predicted Kevin Byard (8 tackles) as a top 3 safety in IDP this year. So far, so good. -- Jared Cook (5-56-0/5) looked really good in this game, but that’s what he does…looks great for a moment and then disappears for 3-4-5 weeks until the next one. -- The Oakland defense played well here. They won the line of scrimmage battle with a very good Titans O-Line quite often. The Oakland defense won this game, in a sense. I say this because I thought Oakland would be easy for fantasy opponents to rack numbers on, but not necessarily so easy after watching Week 1.